It is our belief that central to good corporate governance practices is the presence of a corporate governance culture. To that end, practising good governance must not be restricted to the largest companies. It has to become a common practice, of every company. We are dedicated to making best practice of corporate governance become common practice in every Hong Kong public company, thereby enhancing our standard of corporate governance. Practising Governance is a first-of-its-kind resource platform for “governance practitioners” in Hong Kong-listed companies — including directors, CFOs/finance professionals, company secretaries/legal counsels, internal auditors and investor relations professionals. Our approach is to help these companies build capacity for good governance, by facilitating the work of governance practitioners. With a focus on governance, risks, and listing rules (and related regulatory) compliance, we also address soft skills development, which is crucial in getting organization buy-in. We currently provide regulatory updates and premium conferences. In addition, we also offer tailored board briefings /in-house training, as well as board evaluation services. Wendy W. Y. Yung, our founder, is supported by an advisory panel drawn from a diversity of background — executive as well as independent directors in listed companies, capital markets, accounting, regulatory, public affairs and communications, as well as human resources/organization development. We are an independent organization — and aim to offer the best by combining our own insights, the expertise of practitioners in specialist areas, as well as sharing by leading companies. 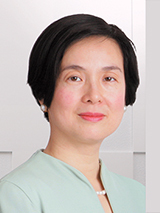 Wendy Yung is an advocate for good corporate governance in Hong Kong. Prior to founding “Practising Governance” (「良治同行」) for this cause, Wendy was Executive Director and Company Secretary of Hysan Development and played a key role in developing and implementing its well-recognized corporate governance practices. Over the years, her responsibilities have spanned commercial operations, as well as human resources and corporate communications. Wendy is a member of the Securities and Futures Appeal Panel, Standing Committee on Company Law Reform, and a co-opted member of the Audit and Risk Committee of the Hospital Authority. She is also a member of the Professional Accountants in Business Committee of the International Federation of Accountants, whose focus areas include governance, risks, and sustainability. She served as a member of the Listing Committee of the Stock Exchange of Hong Kong Limited from 2014-16. First trained as a solicitor, Wendy also qualified as a certified public accountant and a chartered secretary in Hong Kong. She is a council member of the Hong Kong Institute of Chartered Secretaries, and also served as a co-opted council member of the Hong Kong Institute of Certified Public Accountants (2016-17). She graduated with First Class Honours in Law from Oxford University, United Kingdom.